Galaxy S10 Ocean Wave 4K Test! In this test, we take the Galaxy S10 to see how it fares with the ocean waves in 4K. Ocean waves are particularly hard on video cameras as the waves literally force every pixel to move in the shot.Also, I actually took the shots in HDR10 then brought back the flat footage so you can view it on non-HDR devices. The HDR10 is really more like LOG footage that captures more dynamic range and you may be able to use it to capture brighter brights and darker darks. Of course, this does require you to use a color grading software like Davinci Resolve to bring the levels back but definitely seems to work well for capturing more dynamic range. Pixel 3 Camera 4K Cinematic Test w/ BeastGrip MK2! Here’s a Pixel 3 camera 4K cinematic test with my new BeastGrip MK2 that allows you to attach any Canon lenses to your smartphone. I should have a full review of the BeastGrip MK2. Galaxy Note 9 Camera 4K Cinematic Camera Test! Here’s a quick Galaxy Note 9 4K cinematic camera test! It seems like the Galaxy Note 9 like to overexpose but other than that, seems like pretty good cameras especially the telephoto camera seems sharper and better images than the LG V40. As far as exposure, I feel like the LG V40 does a TON better in auto mode. Also, the controls for manual mode(Pro mode) on the Galaxy Note 9 is hard to use as the dials are a bit finicky. At times, I have to really try to register my fingers correctly or the dials just simply don’t work and another reason I just don’t use manual controls on the Galaxy Note 9. I used auto mostly which works quite fine but like I said, I had to manually adjust the exposure down to get the proper exposure. LG V40 Camera Long Exposure Star 4K Timelapse! Here’s a quick 4K timelapse I made with the LG V40 Camera in manual mode to do long exposure(ISO 200, Shutterspeed 20 sec) to capture stars in my backyard. In this video, I take the LG V40’s 3 back cameras to the edge of the world to test out its normal, wide-angle, and telephoto cameras. It turns out the wide-angle and telephoto cameras can be VERY USEFUL in situations like mine at the edge of a cliff. Enjoy and don’t forget to hit the thumbs up/subscribe if you enjoy the video, thx! NOTE: Please watch in 1440P or 4K if possible, YouTube rendering is horrible and you may otherwise see artifacts(that I don’t see in my original video). LG V40 Low Light 4K Camera Demo! Here’s a quick video I put together using LG V40 camera in 4K! Now, because a lot of the shots were in super low-light, I did have to apply some noise-reduction in post using Neat Video but still, you can get some decent shots with the LG V40 in low-light using the manual video mode and noise-reduction processing. LG G6 Underwater Snorkeling Test! Here’s an underwater snorkeling test with the LG G6. Yes IP68 rating is good enough to snorkel with it in sea salt water, just keep your phone no more than 5 feet underwater and you should be fine. Also rinse your phone off with fresh water after as salt left on the phone can make your seals degrade if you leave it. This isn’t my first time snorkeling with a waterproof phone, I used Galaxy S5 a few years back in Thailand, the phone still works even years later and still waterproof, you can check it out here. Galaxy S9+ & DJI Mavic Pro 4K Test in Maui! In this 4K camera test, I used the Samsung Galaxy S9+ for all shots except for airborne shots which I used the DJI Mavic Pro. I felt like this is very good combination for those of you who want to take some 4K videos on the go. Although I do have nicer cameras like the GH5 and A7rii, I wanted to see if I can get some high-quality shots with my smartphone. I also used the DJI Osmo Mobile gimbal to stabilize the Galaxy S9+, which comes in very handy also. Galaxy S9+ 4K Cinematic Video w/ 60fps??? Can you make a 4K cinematic video w/ the Samsung Galaxy S9+ using its new 4K 60fps video recording? 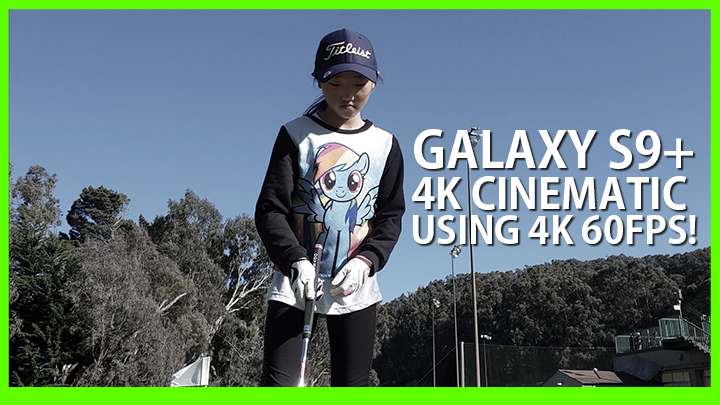 In my latest outing to the golf driving range, we find out if the Galaxy S9+ can stand up to some simple panning shots and see if it can add to your next 4K cinematic video by slowing down 60fps to 24 or 30fps. The result? Is 4K 60fps useful? 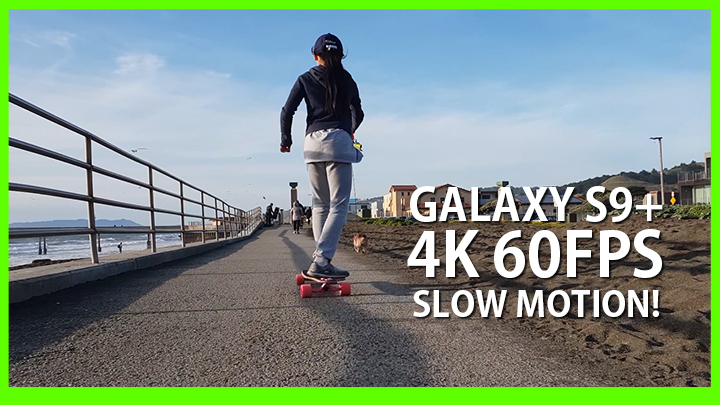 In today’s video, we take a quick look at Galaxy S9+ 4K 60fps footage slowed down to 24fps to use as slow motion. This is my first slow motion test but footage doesn’t look too bad, might get better results with a bit more sunlight. I should have a 2nd test video uploaded soon! My first impressions on Galaxy S9+ 4K 60fps slow motion?